If you’re going to the movies this weekend, you know who to call. Ghostbusters is Canada’s only nationwide theatrical release this week. Captain Fantastic, a drama starring Viggo Mortensen, makes its Canadian premiere in Toronto and expands in coming weeks. 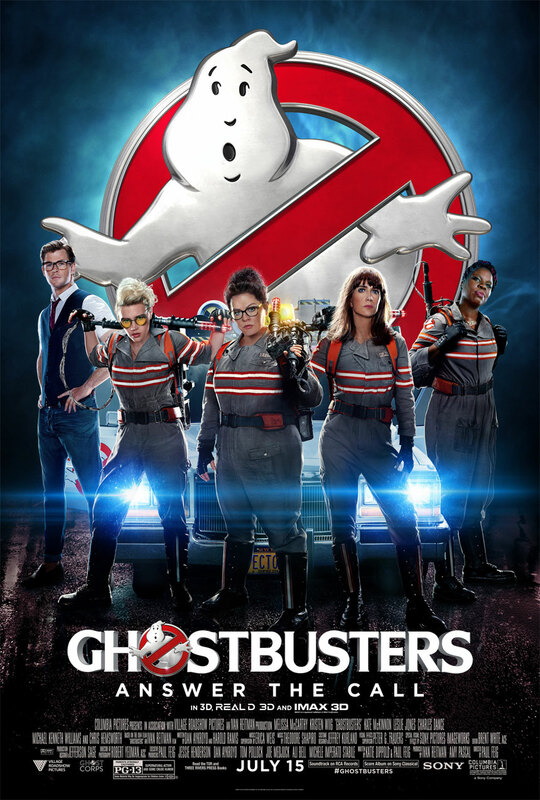 Ghostbusters: Scientist Erin Gilbert (Kristen Wiig) is enjoying her job at a prestigious college until she finds out Abby Yates (Melissa McCarthy), with whom she wrote a book about the paranormal years earlier, has ordered reprints of the book and is selling it online. Worried because the scientific world ridicules those who believe in ghosts, Erin tracks Abby down and begs her to burn the books. However, at Abby’s lab, they discover a ghost is haunting a historical site and they’re called in to investigate. With new proof that ghosts exist, Erin and Abby team up again, along with Abby’s hilarious partner Jillian Holtzmann (Kate McKinnon). When a gorgeous but unbelievably ditzy blond named Kevin Beckman (Chris Hemsworth) applies to be their receptionist, Erin hires him on the spot. Subway worker Patty Tolan (Leslie Jones) joins the team when she promises to provide them with access to a car. Meanwhile, Kevin, who wants to be a Ghostbuster himself, is taken over by an evil ghostly entity and it’s up to the girls to save him. Opening across Canada. Click here for showtimes. Captain Fantastic: Ben (Viggo Mortensen) is a devoted father of six children. They live a secluded life in the isolated forests of the Pacific Northwest. The children, who rarely come into contact with any other people, are raised on a rigorous physical and intellectual schedule. They hunt for their own food, with large, serrated Bowie knives. When their mother, who’s been hospitalized due to a number of mental ailments, commits suicide, the children want to attend her funeral. Against his better judgment, Ben agrees to take them on the journey. Opening across Canada. Click here for showtimes. See Ghostbusters, you won’t regret it, best movie of the year.